Yan Jiang, a PhD student in Geotech, was awarded a $5,000 GSI Fellowship grant for the 2015-2016 academic year for his research proposal "Evaluating the Performance of Hybrid Geosynthetic Reinforced Earth Walls." 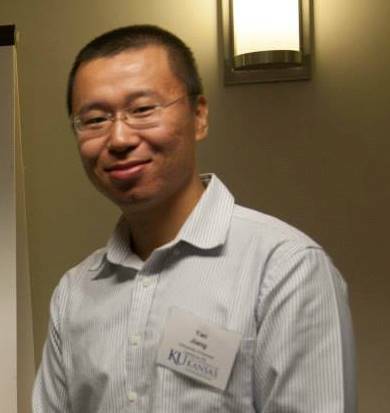 Yan is the fifth recipient at KU to be awarded a GSI Fellowship since 2008. The GSI Fellowships are awarded to four graduate students every year after international competitions based on the research proposals reviewed by the GSI Board of Directors. So far, KU has received most GSI Fellowships from a single university.